It has been a busy week at Goldfinger Injury Lawyers, and we have some exciting news to share with the readership of the Toronto Injury Lawyer Blog. We’re excited to announce the hiring of a new lawyer, Afsoun Amirsolaimani. 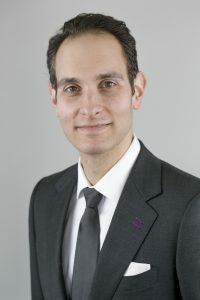 Afsoun comes to us having graduated from the Faculty of Law at the University of Ottawa, and articled at a boutique personal injury law firm in Hamilton. She gained valuable experience in car accident, slip and fall, accident benefits, dog bite and long term disability claims. Outside of work, Afsoun is a fantastic amateur photographer. We are confident that Afsoun will bring her enthusiasm, dedication and passion for justice to our law firm in order to better serve our clients across Ontario. Another important announcement is that our Toronto Office has expanded! Yet again! This is our 4th office expansion in Toronto over the past 9 years. Please don’t get the impression that our law firm are bad tenants. It’s just that our law firm has been growing year after year, and we need to increase our space in order to accommodate our needs. We have been able to grow by serving our clients as best we can. Growing one satisfied client at a time. We aren’t going anywhere far. Same building at Yonge/Sheppard. Same floor. Just larger space. We’re still accessible off of Highway 401 at Yonge Street and also accessible via two subway lines. We’re also steps away from OHIP, ODSP, FSCO along with two Court Reporter’s Offices which is very convenient for our lawyers and clients alike. Our law firm is handicap accessible. What’s not to like about Yonge and Sheppard? I would like to take the opportunity to thank all of our staff on a smooth transition today from our old space, to our new space. Thanks to some hard work and amazing planning, we were able to pull off the move without any significant hitches. We even got the phones and internet up and running without and big glitches (those sort of things are always glitchy during a move). First meal at the new larger law office you ask? Pizza party! Yum! Other big news: “Brian Goldfinger, a personal injury lawyer” was quoted in this week’s Law Times providing commentary on accident benefits disputes being litigated through the LAT system, as opposed to through FSCO or through the Courts. As you will recall, disputed accident benefit claims now have to go through the License Appeals Tribunal or LAT, instead of through the Financial Services Commission of Ontario or through the Courts. Injured accident victims are no longer able to sue their own insurer for denied accident benefit claims. This is wrong on so many levels, but I didn’t make up the law. The issue of whether or not an accident victim can sue over denied accident benefits is under a Charter Challenge. Let’s see what the Court has to say about it. Win or lose, I can see the Charter Challenge on the ability to sue over accident benefits being appealed. The issue is simply too important to everyone involved not the be appealed either way. This could take many years for clarity. But, in the meantime, accident victims and their personal injury lawyers alike have to work within the system. And the system which is currently in place as mandated by the Government of Ontario requires that denied accident benefit claims go through the LAT and NOT through the Court system. I have a feeling that a lot of R. v. Jordan arguments with respect to delay and lack of judicial resources will be made by the IBC to keep these accident benefit disputes out of the Courts. As an aside, care to know why insurers would prefer the LAT over the Courts? Firstly, it costs an accident victim $100 to apply to the LAT. FSCO applications were FREE for accident victims under the old regime. Secondly, there are NO COSTS awarded to the losing party. An insurer can act with a wanton disregard for an accident victim’s rights in only in the most rare of circumstances will the LAT make a costs award against them for having acted wrongly. This MAY not preclude the accident victim from bringing a bad faith claim against the insurer in Court. Recently, an insurer Wawanesa was ordered to pay an accident victim costs for having acted poorly and breached previous orders from the LAT. The cost award against Wawanesa? Just $250! When you take in to consideration that the LAT filing fee alone is $100, that leaves the accident victim with $150. If a lawyer’s hourly rate is $175/hr (not unreasonable), that won’t even cover 1 hour of that lawyer’s time or the HST on those fees! Do you think it takes at least an hour of the lawyer’s time to prepare and conduct a LAT hearing? Most certainly! A LAT hearing itself can last hours or even multiple days. If a lawyer spend 20 hours preparing and conducting the LAT hearing, along with preparing detailed cost submissions along with legal research, those legal fees at $175/hr x 20 hrs of work = $3,500 + 13% HST = $455 = $3,955 + $100 LAT filing fee = $4,055. This equation doesn’t take in the account the cost of faxes, photocopies, courier, medical records, medical reports, or expert fees/reports. This sort of math works for insurers very well. An insurer has seemingly unlimited resources to fight these cases. Paying their lawyers to fight these cases is simply a business expense which can be written off. Even cheaper is when those lawyers are employees of the insurer who work in house. I’m not an accountant, but the write off is probably even more significant. So, when the LAT choses to award the accident victim just $250 in costs, it’s barely a drop in the bucket for the insurer and certainly not a message for them to curb their behaviour. If an accident victim is paying their lawyer on an hourly rate basis, then they are spending $2 in legal fees, for every .50 cents they hope the recover. This doesn’t make mathematical or financial sense. But, if insurers have marketed the LAT as a way to keep premiums down, then the government will be all for it because that’s what will get them re-elected. Is that what it’s all about nowadays?